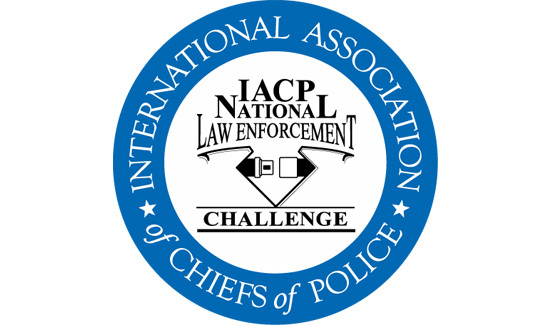 Laser Technology, Inc., (LTI) is sponsoring a set of webinars that will be presented by the International Association of Chiefs of Police’s (IACP) National Law Enforcement Challenge (NLEC) traffic safety program. The program will contain two webinars that will give new and returning applicants beneficial information about the Challenge, offer the best tips to jump-start the application process, and provide input on assessing the outcomes of an effective plan. The 2016 challenge application deadline is May 2, 2016. The first webinar, “2016 National Law Enforcement Challenge Part 1: Problem Identification and Program Implementation” will be held on February 24, 2016 at 9:30 AM (MST). During this webinar, agencies interested in participating in the NLEC will hear tips on how to successfully identify a problem and implement a plan from past winners, the Dalton (GA) Police Department and Henrico County (VA) Police Division. Roanoke County VA Police Chief and NLEC Chairperson, Howard Hall, will also speak on the benefits of participating in the Challenge and how involvement can assist departments in a proactive approach towards traffic enforcement efforts in the community. The second webinar, “2016 National Law Enforcement Challenge Part 2: Assessing Outcomes” will be held on March 22, 2016 at 9:30 AM (MDT). During this webinar, hear tips on how to best assess the outcomes of your implemented plan. You will hear from Howard Hall again and receive advice from previous NLEC winner, Stafford County Sherriff’s Office. Learn how you can be recognized for creating and implementing a plan that makes traffic safety a priority. To help increase awareness of the NLEC and provide an additional incentive for attendees to promote traffic safety in 2016, LTI is holding a drawing for an LTI 20/20 TruSpeed Sxb with LaserSoft SpeedCapture App. In order to be entered into the drawing, the agency must attend both scheduled webinars and submit for participation in the Challenge by May 2nd. For more information about LTI’s complete line of traffic safety products, call us at 1.303.649.1000. The NLEC is a friendly competition between agencies that is designed to encourage them to address traffic safety issues within their area with an effective plan. All participants evaluate a year’s worth of traffic safety efforts, successes and failures during the process. The competition between agencies provides recognition for outstanding departments and helps departments improve their traffic safety programs. The Challenge has proven successful in reducing serious injuries and fatalities on roadways. Laser Technology, Inc., is a Colorado-based manufacturer of laser measurement devices, including traffic safety equipment. LTI introduced the first commercial laser speed device that enabled law enforcement agencies to pinpoint an individual vehicle in dense traffic. From speed enforcement to crash scene investigation and more, LTI’s equipment has been used by law enforcement agencies and professionals worldwide for over 30 years. Read more about Laser Technology, Inc.